I can't put into words the mixed feelings that I felt when I first saw the full length Boost foam on the D-Rose 5 basketball shoes. To tell you the truth, I was already happy with how the Crazy Light 4 Boost performed on the basketball court as it combined the lightweight feature of the Crazy Light line with the very comfortable Boost cushioning technology that provides optimum energy return and responsiveness. For a guard who loves playing competitive basketball games, its on-court grip and cushioning was great. It made me knock down stop and pop perimeter shots easier and more natural. I told to myself, what more if it's a full length boost. I bet it will be very very comfortable on my feet. By looking at the D Rose 5 info-graphic, you can tell how much work adidas and Derrick Rose put in in designing the ultimate basketball shoe. It goes without saying that you can count on this new kicks to be a great performer on the basketball court (both indoor and outdoor courts). I am definitely excited for the release of the shoe in the Philippines on October 16, 2014, Thursday. 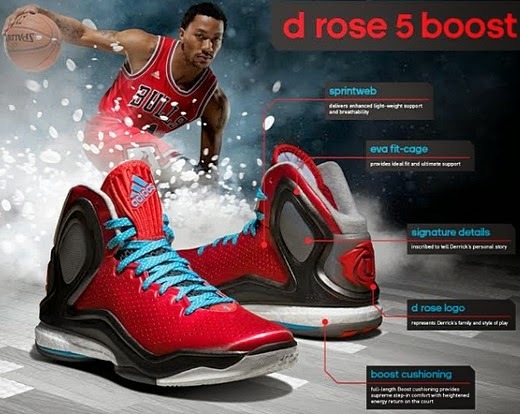 According to adidas, "the D Rose 5 Boost is the ultimate signature shoe to outfit Derrick Rose on and off the court. It features adidas’ most innovative technology and the most personal details ever included on a shoe in the D Rose signature collection. 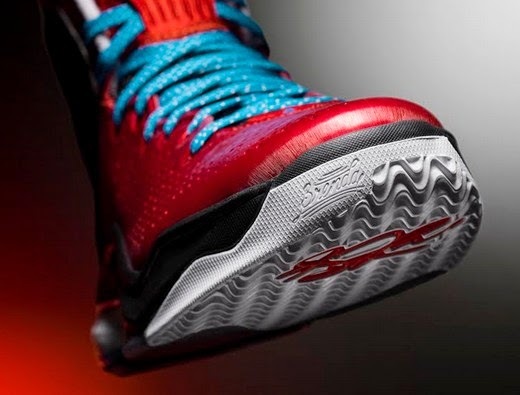 The D Rose 5 Boost offers full shoe length Boost cushioning technology designed for heightened energy return and step-in comfort to ensure maximum performance." "I always say every shoe is my best shoe. But the [D Rose 5 Boost] is my favorite signature shoe. With all the shoes that adidas has created for me, this is the cleanest one. I think it’s very simple but everything shoots out at you. It’s a black shoe with red laces and if you’re a shoe-head you love this combination. I also have a red colorway that has black and gray features and blue laces. It’s another one that the sneaker-heads are going to love. It’s the first time that they put my logo bigger and on the back of the shoe which is something I really wanted to do. And it is the first time that adidas doesn’t have the three stripes on the shoe, so we’re making a little bit of history." 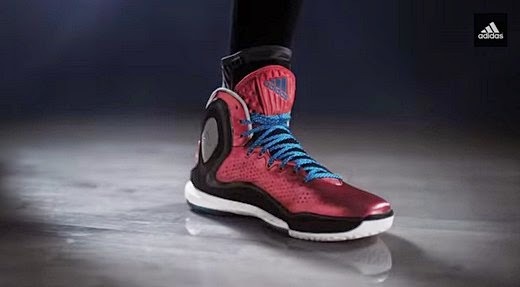 Designed with full-length BOOST for D Rose's explosive game. "I told adidas that from now on, I want Boost technology in all the shoes I play in. I want the technology because it’s so comfortable and just the comfort of the shoe is great. I’ve played in the shoe for a couple months, and every time I put them on it feels like a new shoe." "The bottom of the shoe is totally different. I have the peace sign at the bottom and the phrase, “Everybody eats.” That’s a sign for my friends; we all love shoes, especially this one right here. On the side of the shoe where it has the ankle protector, it has quotes of me saying certain things in the past and some of the things I accomplished at a young age." For the price ( SRP ), Boost Technology, other important details, and availability, you may check this out. The D Rose 5 Boost is an all-new basketball shoe in the D Rose signature collection that brings game-changing energy return innovation to the court. For the first time ever, full length Boost cushioning is featured in a basketball shoe to ensure maximum performance. Boost cushioning helps players through the fourth quarter with an ideal combination of energy return, responsiveness and comfort. Boost features an industry-first cushioning technology unlike any other foam in basketball. Thousands of capsules make up Boost, providing soft, lightweight cushioning that helps store and release energy efficiently. First introduced in running shoes in 2013, Boost has since been recognized as the best cushioning in the industry. The Boost innovation outperformed more than 800 shoes tested by Runner’s World before making its way to the court. Signature details are woven throughout the design reveal details about Derrick, his family and his path to success. Personal details of the D Rose 5 Boost continue with the toe of each shoe featuring the name of his mother, Brenda, and his son, PJ. A bigger and bolder D Rose logo on the heel represents his family and style of play. Derrick’s signature is woven into the traction pattern of the forefoot of the outsole. Future colorways will feature additional details and unique SPRINTWEB upper finishes for updated style. An all-new EVA fit-cage provides strength and support for an ideal fit. SPRINTWEB upper delivers enhanced light-weight support and breathability. Interior mesh ankle pockets offer air flow and increased comfort. Traction zones on the outsole include a wave pattern on the forefoot and a square pattern on the heel and midfoot to ensure ideal court feel. Separated forefoot and heel outsole to maximize Boost feel. Enlarged TPU plate aids arch support. The D Rose 5 Boost with 7,995 Php suggested retail price drops on Oct. 16 on adidas.com, adidas shops, and leading retailers in the Philippines. For more information, visit news.adidas.com, adidas Basketball Facebook page, www.adidasbasketball.com or follow us on Twitter and Instagram @adidasHoops with #DRose5 #Boost.